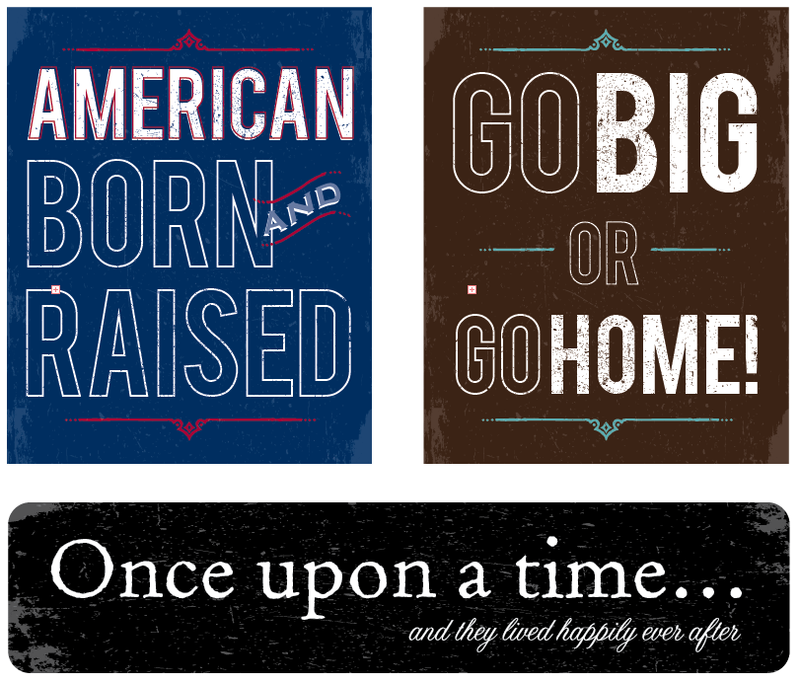 We were recently asked to submit designs for a sign company. Our agent will show our presentation to multiple manufacturers and often we don’t hear anything for quite a while. It can be frustrating and difficult to wait since we are so impatient! I was the type of kid that unwrapped my Christmas presents early then rewrapped them because I could not stand waiting. So you can imagine how difficult it is for us to sometimes wait a year before we actually hear any news, whether good or bad. Sometimes things that we’ve completely forgotten about come back as a nice surprise. So we probably have another few months of waiting before we hear if any of our signs were picked up, but if they were chosen at least you can say you saw them here first! 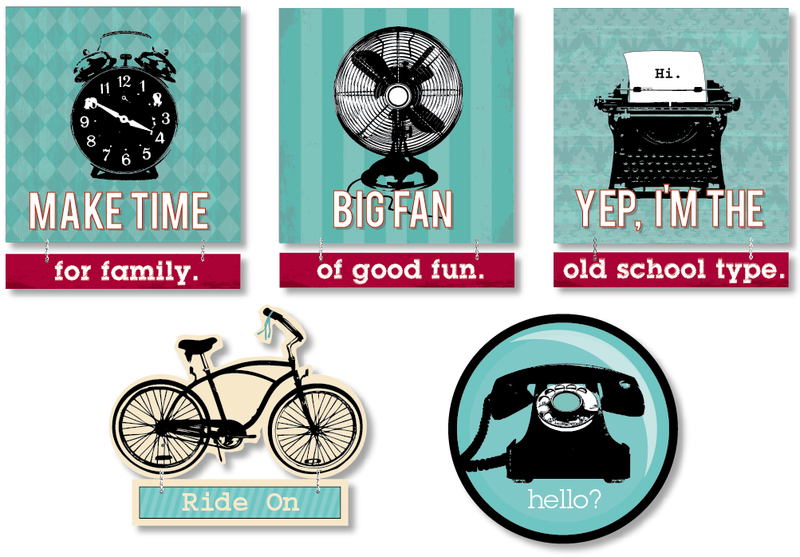 Retro Tin Signs based on our Retro Lane Design Collection, which has also been used on greeting cards and journals. We designed a line of Eat at Mom’s signage to go with our Eat at Mom’s Ceramic Collection that is currently sold at Hobby Lobby and other retailers. To see the full set of dishes click here.